These T Shirts are a real favorite at our store, Glenn's Army Surplus located near Fort Carson (39 years in the same location!) so we thought we would add them to our online store for our valued online customers. They are all compression style T Shirts. All issued to US Army soldiers. 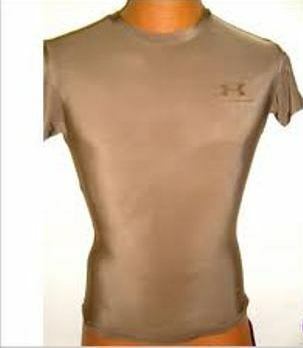 These compression style T shirts are often $39.95 or more new, so they are a great value at $14.00 each. Most are UnderArmour brand with some being DriDuke, both contracted manufacturers. While supplies last selection the option that interests you from the drop down options menu in the shopping cart.